The Technical Limit is what could be achieved in a flawless operation using the best people, planning and technology. Technical Limit is a term that describes a theoretical maximum in safety, efficiency and production during drilling operations. Our model at Relentless Pursuit of Perfection builds on previous step-changes in Technical Limit methodologies created by companies such as Shell and Hess in the 1990’s. We also monitor, study and integrate techniques and advances from other industries. For example, another pioneer of operational excellence was Toyota with their LEAN management system. We work with drilling teams before, during and after so that we can uncover more ways of getting close to the Technical Limit of the next well. We constantly improve our knowledge and experience in the area of Technical Limit drilling by actively working with oil companies, oil service companies and drilling teams all over the world. By following our tried, tested, and constantly developed and refined framework we can identify areas of performance gains during our CWOP and DWOP workshops. With a combination of ongoing experience, and the best academic knowledge in the industry we help our clients save days, or even weeks of drilling time by avoiding pitfalls in advance. The ‘Perfect Job’ is the best possible outcome, limited only by (existing) technology and nature. It is achieved by getting the right people, doing the right things, with the right tools and equipment, at the right time and in the right environment. Unlike many types of companies in the oil and gas industry, we specialise with a laser targeted focus. If you consider a typical oil major or oilfield services company, how many departments do they have, how many types of jobs do they do? At rp² we only focus on drilling integrity and performance. It is the task that we know better than anyone. We don’t have under-performing products or departments. We stake our whole reputation and future business model on the pursuit of perfection and the hunt for the Technical Limit. We know that if the limit is perfection, and perfection is impossible to achieve, then by chasing perfection we end up with excellence. Even excellence is a moving target however, every year there are new technological advances, and operational breakthroughs. What could be defined as the Technical Limit in the 70’s certainly was not the case in the 90’s. We expect efficiency to continue to improve towards 2020 and beyond. We anticipate being the champions of this ever advancing standard in Technical Limit drilling. Information on the best systems currently available is not that hard to find. This is especially the case if you are a drilling contractor working with an oil major that has a huge R&D budget. The information is available. The most challenging task is getting your organisation to embrace the new systems and technologies that are available. People resist change, and with experienced respected, there is an organisational tendency to follow the old hands. This is where rp² comes into its own. We are masters of change management and integration. Our Technical Limit workshops focus on the ‘people’ aspect of the equation. We have learned how to create an enabling environment where members of the team synergise and get into a mental state that can be described as a state of flow. This is the same principle as used for mastermind groups or junto’s. We work with teams to look beyond normal losses, to see the total picture and identify just what’s possible. To know more about how we can help reducing Invisible losses in your operations please contact us. Imagine how powerful the result will be if Technical Limit is applied to your business. It won’t just happen on its own!!! When a group of people get together and put language, race, culture, and preconceptions aside interesting things happen. Then when they, as a team resolve to create a winning plan, one that has no pitfalls or waste, one that they can all get behind passionately, amazing things start to happen. Potential problems based on geology, environment, equipment combinations or similar things that can create extended downtime get solved in advance. The end result of perfection and maximum efficiency is not just visualised by the leaders, but every singe team member from the top to the bottom. Solutions to challenges that aren’t even previously contemplated are created in peoples minds, as if planted by a benevolent timeless universe. It is as if the job has been completed, and millions have been saved already. Complacency does not creep in because everything is meticulously recorded and stored ready for the actual drilling process. Just as world class athletes do everything twice, once in the mind and once during competition, this is the approach in the Technical Limit drilling process. So that when the physical work starts, the team can quickly get back into the mental state of champions, ready to break the next record. 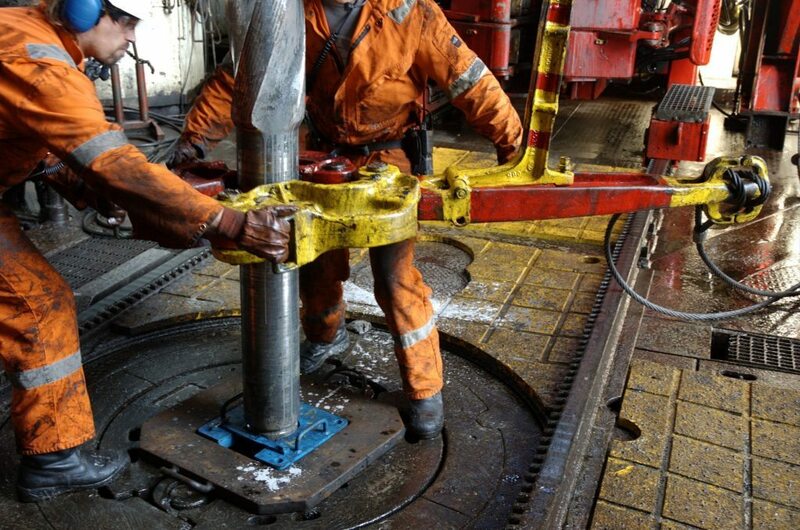 To find out how we can potentially save your company weeks of drilling time, and millions of dollars, contact us.